An experienced new-hire may require a knowledge and skills evaluation to best determine their starting job classification and pay grade. Evaluations can provide important information to management on the need for remedial training with existing employee - Lineworkers. Company training programs may allow employees to advance to higher levels within the Program based on credit given for prior training and/or current knowledge and skills. The EPT can help determine where it is best for an employee to start in a company training program. 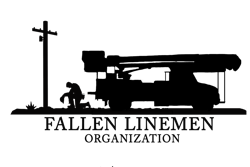 Evaluations may be conducted to determine eligibility for promotions to a position requiring a specific level of knowledge and skills in powerline construction and maintenance. Evaluations can help establish a ‘base line’ of knowledge and skills for an employee to measure against future progress. This proprietary test was developed by ISPC based on the ISPC Lineman Competencies research in which 191 essential competencies were identified for a typical Journeyman Lineman. The test is comprised of two parts: a knowledge test; a skills proficiency test. The knowledge test is made up of 100 questions that involve, true/false, multiple choice, matching and short answer questions. 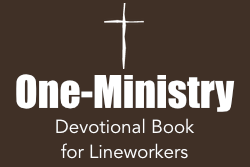 The skills proficiency test is 7 typical working scenerios that requires the Lineworker to perform field-based jobs involving many of the skills required to complete the work in a safe manner, correctly and productively. Full personal protective equipment that is appropriate for each scenerio is required and, generally, the candidate will be expected to climb a pole to work, work out of a bucket truck, use a truck-mounted digger to install a pole and demonstrate best practices in a number of typical work situations involving many tools of the trade. It is recommended, but not mandatory, that this Evaluation be performed by ISPC trained Consultants. However, a company may use the ISPC tests to evaluate their own people, if they wish. Knowledge Test: may be taken on-line (proctoring by supervisor required), prior to the Consultant arriving or administered by the Consultant upon arrival. Skills Proficiency Test: conducted on-site by an experienced and trained ISPC Consultant. On-site support facilities, equipment and tools required. Knowledge Test: may be taken on-line or administerd by company supervisory personnel (proctored in either case). Skills Proficiency Test: conducted on-site by qualified company personnel. Price: $25.00 per online test. For Companies considering doing the testing themselves, a Site License is available that allows reproduction of the Test Forms within the Client’s operations only.